Under less than ideal conditions, seals can resonate back and forth. If you can guarantee that your engine will never see such conditions, then you would be right. Ted, I am a little surprised that you, as a moderator, would become an advocate for someone over the truth. Certainly you should have observed what is depicted below. On the left side you see the wear from driven side seals... on the right observe that there is a ghost of wear ..... no wear whatsoever. This is for the guys building their own engines. An engine built anywhere in the world will be capable of making approximately the same power if the builder uses good tolerances and has a close attention to detail. There should be no hero worship for anyone special. Forget the hype. 1- make the best possible sealing points... hence the zero-clearance side seals. 2- give the apex seals a flat surface to run-on using something like my sparkplug area cooling mod. 3- Make the AFR's spot-on with help from something like my free Excel AFR Corrections Program or any other autocorrect system. 4- And probably the toughest... center the combustion peak-pressure around 45 degrees atdc. This is where most people fall short... they go for what is called a safe ignition map. If you follow these simple ideas you will have the highest horsepower possible at what ever boost you run, even NA. Barry, what do you mean by #3? Make sure its not too lean/rich under boost? all parts of the map? My conclusions are with discussions with someone with a Masters degree in Mechanical Engineering. We blew up a 13B-REW with no turbo (long story) that only managed to put down 130 - 160hp at the wheels on a DynoJet. 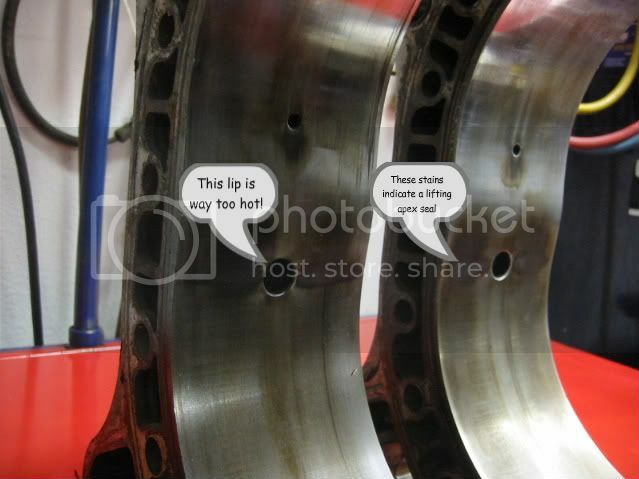 The engine was running milled 3mm rotors with 3mm apex seals. HOW DO YOU BLOW UP SOMETHING LIKE THAT? The apex seals did not have chipped corners like most of your failed apex seals. The apex seals were cracked straight down the center - height-wise, of course. I have never seen apex seal failure like this except for this one particular incident. The mechanical engineer stated that this failure was a consistent with a harmonic oscillation failure of that type of material. Why am I talking about apex seals when you're taking about side seals and corners seals? You're smart enough to make that connection, right? It's been documented by Mazda in a Mazda technical review used as reference for an SAE paper. You're smart enough to go look that up too, right? How about the other thousand you've come across in your experience? 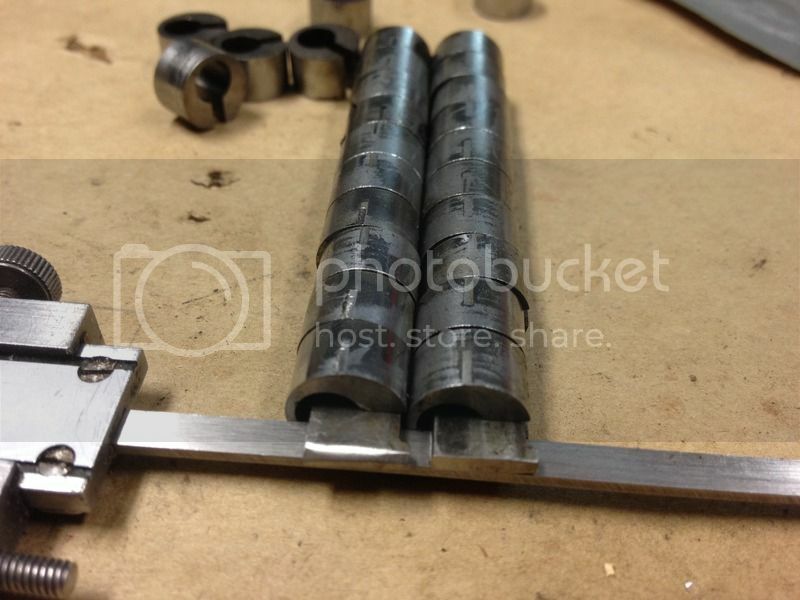 Are you going to state that all the other thousands of corner seals look exactly like the ones in your pic? Aiming for a certain peak chamber pressure vs a given crank angle is fine in theory as most people don't have access to in-cylinder pressure monitoring so its kind of a moot point. In practice, OEM level calibration involves monitoring the crank angle at which 50% of the combustion charge has been consumed. The optimal point for CA50 has a 2-3 degree range for any engine, whereas peak cylinder pressure can be deemed "optimal" for a range more than twice that. 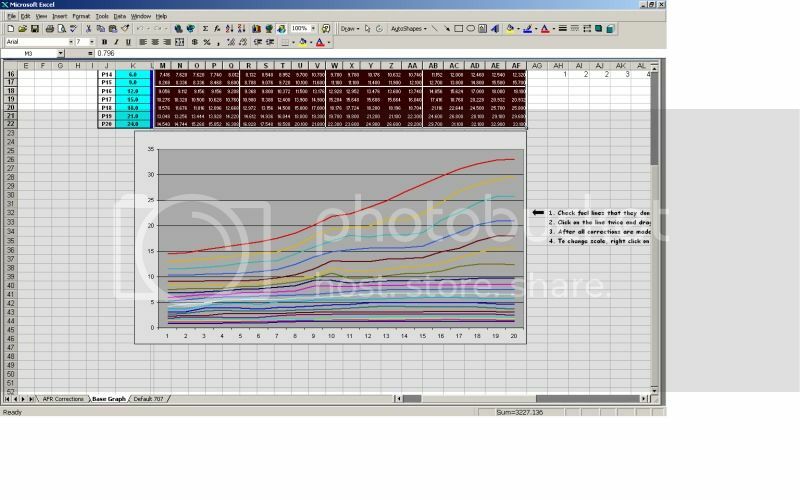 This is what the Excel program looks like. send me a PM and with your email and I can send you a copy. Most people don't understand the importance of an ideal mixture and it's to improvement to the burn rate. 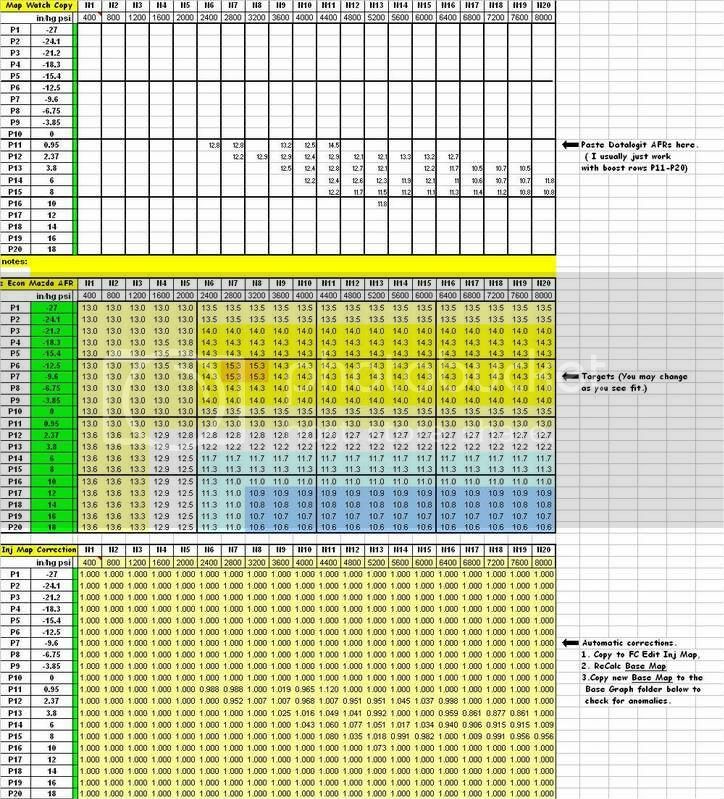 Then on the second folder you take your corrected base map and check it any anomalies. Last edited by Barry Bordes; 03-19-2016 at 08:41 PM..
Ted... my guess would have been that there was an interference fit in the freshly milled 3mm slots causing the seal bind when heated. That combined with the infamous peaks caused by the hot spark plug area caused the seal to break in the center. Maybe we could add a #5... when installing all seals make sure that there is absolutely no interference and that the seals spring freely (per the manual). By the way Ted if you have a reference please post it! It will only help the forum. I also noticed that you have not provided any pictures of double worn corner seals. I actually have some but they are ones that I reversed from the last rebuild. To be fair to your thought process... I might theorize that possibly on very hard decel... like at an autox that the seals might be slung forward... but I have not seem any evidence of it. Last edited by Barry Bordes; 03-23-2016 at 07:26 AM..
Actually that is the approach that I have been working on. 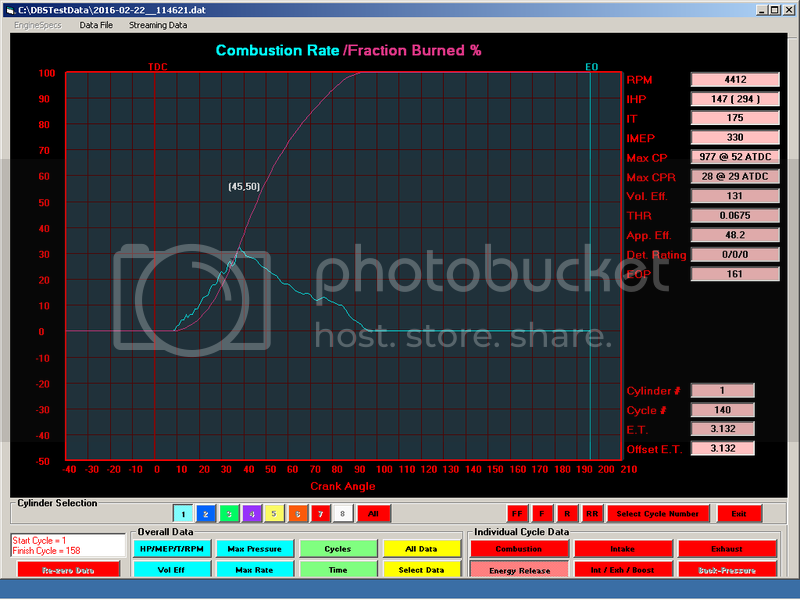 The TFX program also does Fraction Burn and Combustion Rate. One thing that can be done without internal mods (hint) for instance would be experimenting with ignition split and it's effect on burn rate. The saw tooth angle of burning gases and the fraction burn shown below have been used to make definite increases. 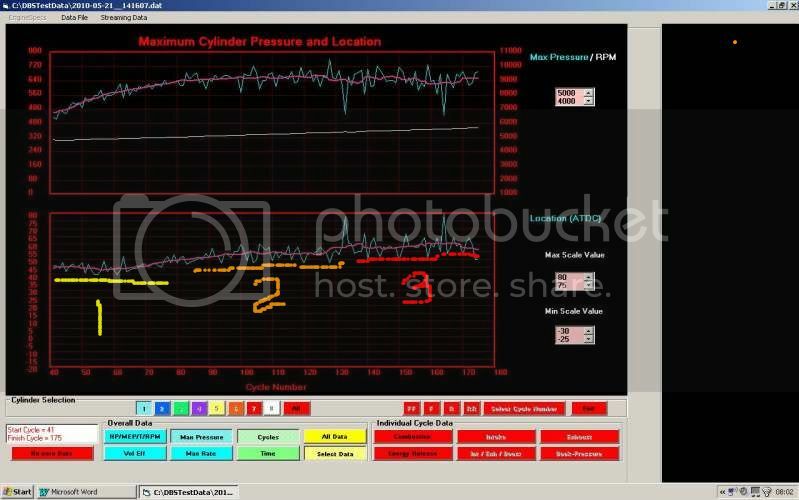 This screenshot is a little hard to make out but it shows that the closer to 45 degrees (in the 5000 to 8000 rpm range) the more peak pressure is made. Notice that each ignition event is different and that the best pressure point can be determined comparing pressure to degrees for peak. Location is the on the bottom chart and in this example we would add degrees of advance as noted then retest. Happy Bday the other day Barry. I'm a bit sceptical about side seal vibration causing apex seal failure, the pressure differential across the long sides combined with deposits would mean a massive frictional force to overcome sliding back and forth in the side seal grooves, with a minuscule area at each end to provide motive force via gas pressures and very small distance for the seal to build up momentum. Thanks for your continued input Barry. Edit: couldn't let this go, and wanted to give a basic explanation for those playing at home. The only way motion of a rotor could push/turn a side seal "backwards" (remembering that the oil seals have directional springs as well) was if you had entirely different e-shaft/seal/rotor design (leaving large dead zones on the sides of the rotors) which allowed the side/corner seals on one side of the rotor to be inside the tooth contact radius of the rotor gear. Not practical or desirable. You can see this simply for yourself by drawing a rotor and stat gear and taking a radius from the point of tooth contact (the stationary point and centre of motion at any time) to anywhere on the rotor, only points lying inside the rotor gear can have a back/forth motion relative to the side plate (through an engine cycle). Even then it would only present a problem if the majority of an independently moving seal part was inside an arc of radius equal to teh gear radius from the tooth contact. That is you could have an engine design with circular oil control seals inside the rotor gear radius (on the off-gear side of the rotor) with the same directional spring design as ours without a problem. Last edited by Slides; 03-23-2016 at 09:46 AM.. 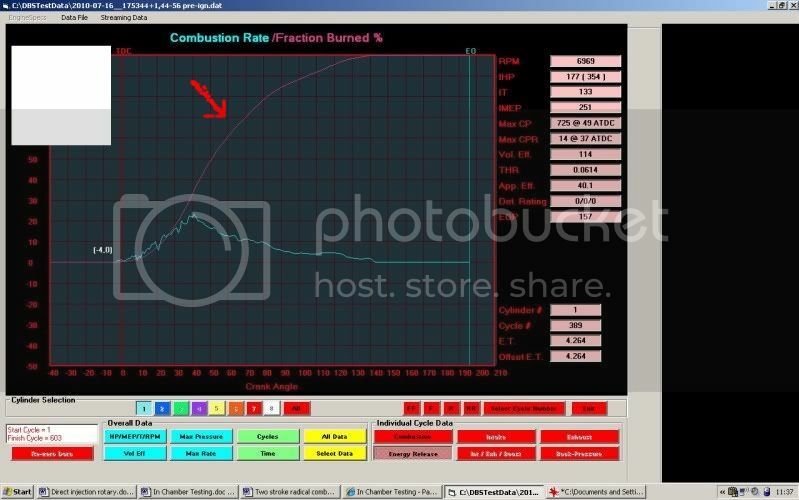 Compare the above Fraction Burn and Combustion Rate rate to the result achieved in this much later experiment. You can see the dates of each test in the top left corner. This total increase happens by many very slight incremental improvements.